Hi everyone. 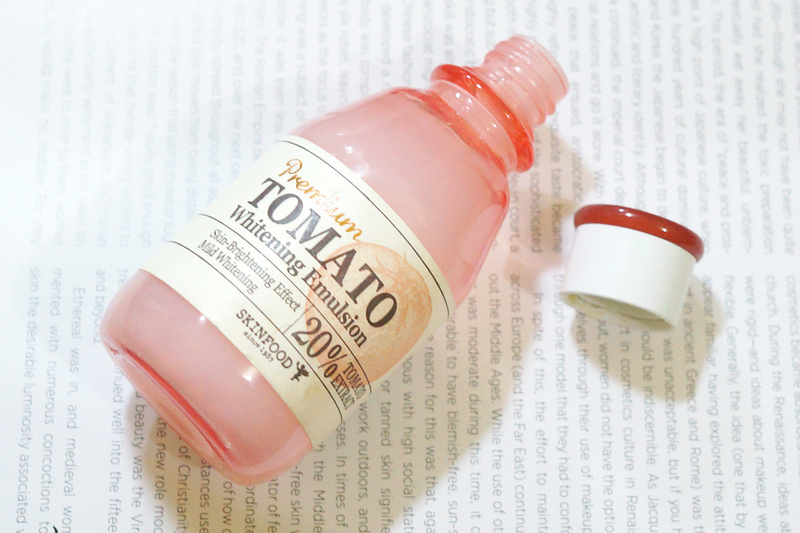 I back with another skincare product review, this time for Skinfood Premium Tomato Whitening Emulsion. I have been using this emulsion everyday (morning and night) for about three months now. I'm about to finish up with it so I thought this will be a great time to do a review. Tomato - The tomato is a nutrient-dense, fiber-packed superfood which can help fight free radical formation. Directions - After toner/serum application, dispense an ample amount onto palms. Smooth gently over entire face until completely absorbed. 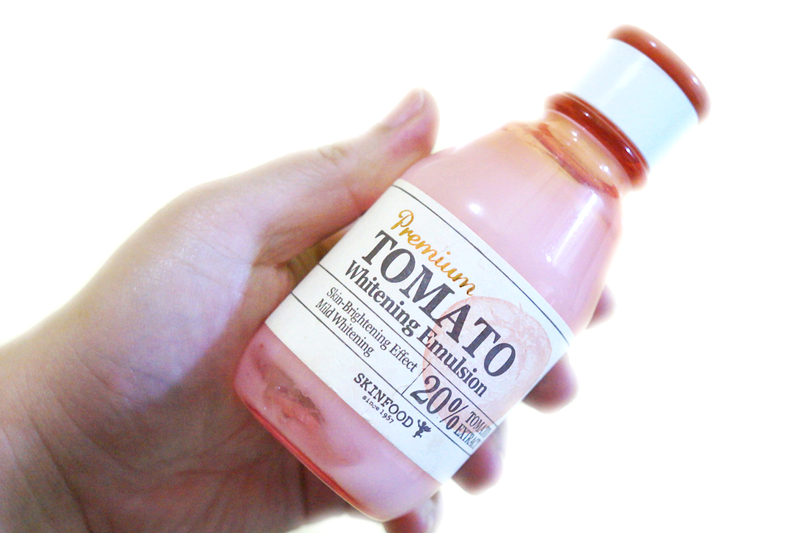 As I've mentioned, I use this emulsion everyday as my main moisturizer as my skin have been feeling oily lately. 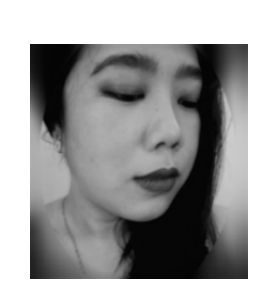 During the night when my skin feels drier, I might apply a moisturizing cream or sleeping mask after I put this on but normally, I don't. In the morning, I just slap this on, apply sunblock and proceed with my makeup. I really like this product enough to actually almost finish this up. This has a light, non-sticky texture which is easily absorbed by the skin. 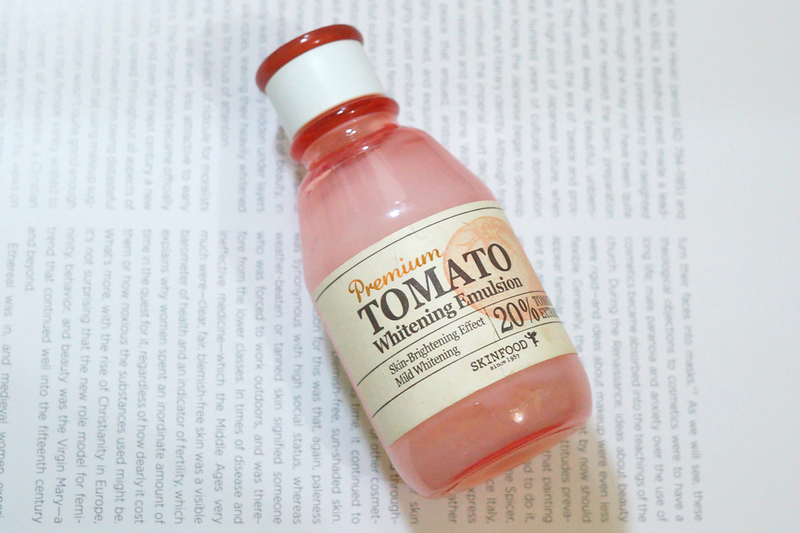 Despite light formula, it's able to deliver enough hydration to my skin. This also leaves my skin feeling soft and moisturized after every use. This has also helped with lightening some of my acne spots and diminished the look of my blemishes. I also appreciate that this has a mild fruity scent which was not bothersome to my sensitive nose. Also a pro is the very generous amount of product that you get (140 ml) at an affordable price.